Fitness Reality. Real people. Real results. Get the same intense gym-quality workout at home with the Fitness Reality X-Class 710 Bluetooth smart technology elliptical trainer with flywheel Turbo drive. 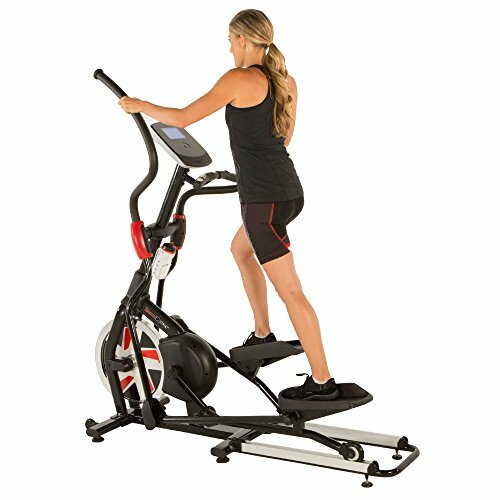 With a smart technology free app, 20 preset workout programs, 24 levels of magnetic tension resistance, and 3 workout goal options, the Fitness Reality X-Class 710 elliptical trainer can provide you a full body workout with all challenges you will need to get in shape. In addition, the 44 lb flywheel will provide you 'Turbo' striding momentum for a smooth and consistent workout. So train hard and get the results you want with the Fitness Reality X-Class 710 Bluetooth smart technology elliptical trainer with flywheel Turbo drive. Additional info: strong steel frame construction over 26 workout PROGRAM options. 3 heart rate control (HRc) programs. 1 quick start PROGRAM. 2 customizable workout programs. 1 heart rate recovery test for tracking how quickly your heart returns to a resting heart rate. Stores up to 4 user profiles. Listen to your music with the embedded dual console speakers as you work out. Hand pulse sensors for monitoring your target heart rate zone. 'Front drive' belt system. Heavy duty 3 piece crank system prevents any maintenance issues. Fully lab tested for durability, performance and endurance. User height range 5'1" to 6'4". aluminum rails helps prevent squeaking. Oversized pedals for extra comfort. Miles/kilometers conversion option provided. Transportation wheels for easy relocation or to storage. Adjustable floor stabilizers for leveling and prevents the elliptical from rocking or tipping. Water bottle holder included. AC adapter included for the computer. Aux cable input included. Assembly required. Warranty: frame- lifetime, normal wearable parts and electronics - 2 years, Labor and other parts - 5 years. Set up dimensions: 67"l x 24.5"W x 68.5"H. Set up weight: 154 lbs. Bluetooth Smart Technology free MyFitQuest app available on IOS to help tracking your workouts. Listen to your music with the embedded dual console speakers as you work out. Body Xtreme Fitness 6-in-1 Elliptical Trainer Exercise Bike, Home Gym Equipment, Push Up Bars, Ab-Twister, Hand weights, Resistance Bands, Pulse Sensors, BONUS COOLING TOWEL ~ ON SALE!